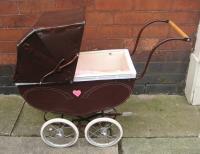 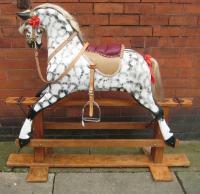 A beautiful dolls pram C1940 in excellent condition. 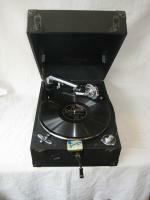 A boxed gramophone made by Columbia no 201 in fully working order. 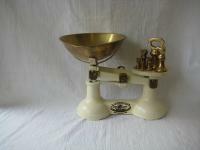 Set of cream painted metal and brass kitchen scales with a set of brass weights 1lb - 1/2 oz Height: 22cms Width: 32cms Depth: 24cms. 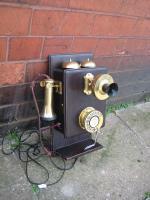 A superb post office telephone in fully working order. 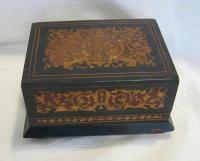 A superb example of a Tunbridge ware musical box which was originally meant to store cigarettes. 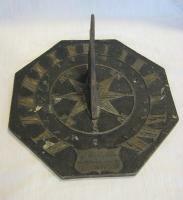 A cast iron horizontal garden sundial with French inscription C1800. 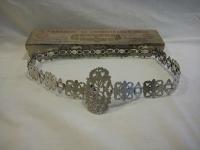 29cm diameter. 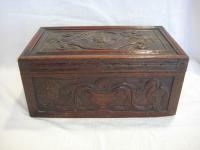 An oak carved bible box C1860 with intricate carved detail.